Dominick Argento, Literature-Loving And Pulitzer Prize-Winning Composer, Dead At 91 Argento began his career in earnest in the '60s, before rising to international prominence in the '70s for works that often mined the written word for inspiration. Dominick Argento, photographed at Orchestra Hall in Minneapolis in Oct., 2014. The composer died Wednesday, Feb. 20 2019. Pulitzer Prize-winning composer Dominick Argento died on Wednesday in Minneapolis, Minn., after a short illness; his death was announced by his family He was 91. Argento was best known for his lyrical and astringent music for the human voice – he wrote 13 operas, as well as song cycles and choral works. As he told the late Mary Ann Feldman in a 2002 interview, "My interest is people. I am committed to working with characters, feelings and emotions." Argento was born on Oct. 27, 1927 in York, Penn., to Sicilian immigrants who ran a restaurant and inn. He began studying music seriously in high school and, after a stint in the army as a cartographer, he enrolled in the Peabody School of Music in Baltimore. There, he studied with Henry Cowell and Hugo Weisgall, and earned both bachelor's and master's degrees in composition. His Ph.D. was from the Eastman School of Music, where he studied with Alan Hovhaness and Howard Hanson. The recipient of Fulbright and Guggenheim fellowships, Argento studied in Italy with Luigi Dallapiccola. In 1954, Argento married soprano Carolyn Bailey, who premiered many of his vocal works. "I learned to love the voice by loving the singer," he told Feldman. Four years later, the couple moved to Minneapolis, where Argento taught composition and music theory at the University of Minnesota, where his students included composers Libby Larsen and Stephen Paulus, who went on to be highly regarded in the field. 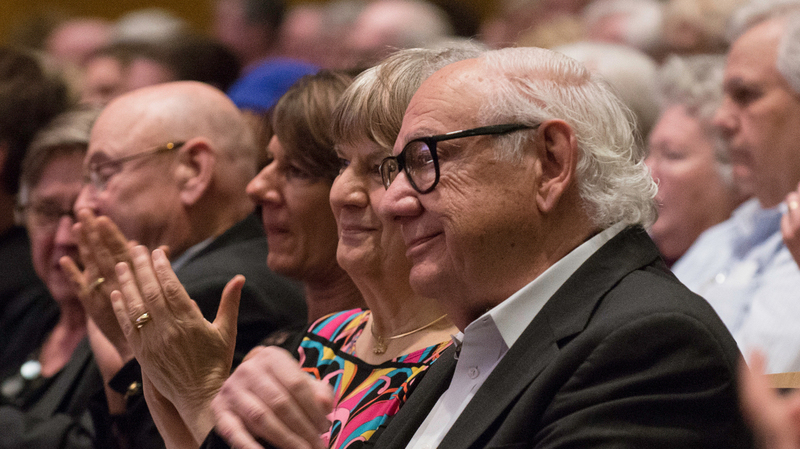 In 1997, Argento retired and was named professor emeritus at the university — and later that same year, he became composer laureate of the Minnesota Orchestra. "I do think of myself as a Minnesota composer," Argento told the Star Tribune of Minneapolis in 2017, as he described his "love affair with my community here." August 8, 2016 was designated Dominick Argento Day in the state of Minnesota by then-Governor Mark Dayton, recognizing him as "a master composer, revered educator and beloved Minnesotan." Much of his work was premiered at artistic institutions in the frigid Twin Cities: the Minnesota Opera, the Minnesota Orchestra, the Guthrie Theatre, the St. Paul Chamber Orchestra and the Walker Art Center. His career was well underway throughout the '60s, but it was his 1971 surrealist chamber opera, Postcard from Morocco, that cemented Argento's reputation as one of the leading composers of his generation; after its premiere in Minneapolis, the opera was staged around the world. 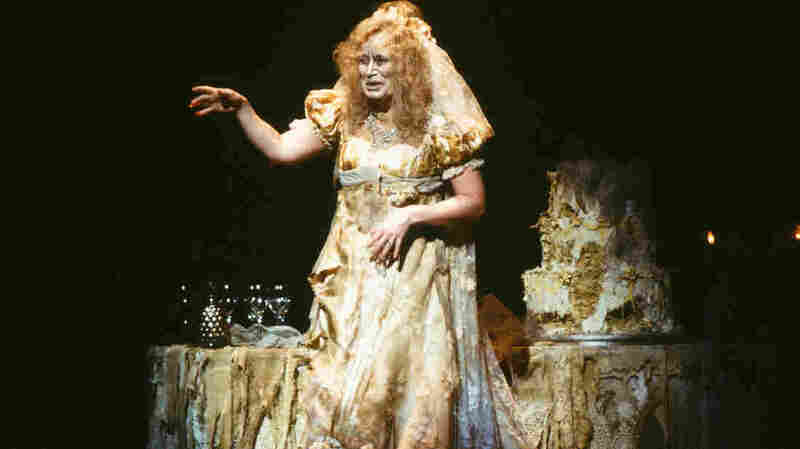 A photo from the New York City Opera production of Miss Havisham's Fire taken March 22, 1979. Argento's operas were often based on literary works or themes: The Voyage of Edgar Allan Poe, about the author's tragic final days; Miss Havisham's Wedding Night, based on a Dickens character from Great Expectations; Casanova's Homecoming, a comic opera set in Venice, which had a well-reviewed run at the New York City Opera; and The Aspern Papers, drawn from a Henry James novella and written for star mezzo-soprano Frederica von Stade. Argento's final opera, The Dream of Valentino, set in the early days of Hollywood, premiered at the Kennedy Center in 1994. Some of his earliest compositions were settings of poetry: e.e. cummings, Shelley, Wordsworth. But the Pulitzer Prize he was awarded in 1975, for an eight-song cycle written for English mezzo-soprano Dame Janet Baker, used some lesser-known material as its foundation: entries collected in From the Diary of Virginia Woolf to explore the emotions and thoughts of the famously troubled novelist. A look at his other song cycles illustrates the composer's enduring interest in the literary arts: The Andreé Expedition, was based on journal entries for a failed attempt at reaching the North Pole by balloon, written for famed baritone Håken Hagegård; A Few Words about Chekhov, pulled from an essay by the playwright's wife, actress Olga Knipper; and Casa Guidi, was based in part on the letters of poet Elizabeth Barrett Browning. The recording of the latter, featuring Frederica von Stade and the Minnesota Orchestra, received the 2004 Grammy Award for Best Classical Contemporary Composition. Argento took full advantage of Minnesota's choral tradition, working with two conductors in particular: Philip Brunelle and Dale Warland. Following the death of his wife in 2006, Argento was distraught, but Brunelle convinced the composer to write a piece in her memory. The result, Evensong: Of Love and Angels, for soloists, reader, chorus and orchestra, premiered at the National Cathedral in Washington, D.C. in 2008. He retired from composing in his late eighties, due to hearing problems. He told the Star Tribune in 2017 that he missed his work terribly: "At the age of 85," he said, "I felt I'd gotten to the point where I knew how to write." In his book Catalogue Raisonnâe as Memoir: A Composer's Life, Argento likened the creative process to raising a child. "A parent inculcates ideas, develops tastes, provides guidance," he wrote, "and in effect molds the child from birth through its early years. But the child soon develops its own ideas, cultivates its own tastes, resists external guidance, and ultimately becomes its own master, often with unanticipated results. My compositions, like children, have surprised me that way."